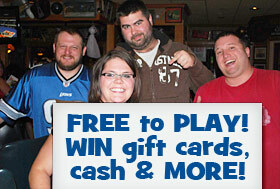 AMP Quiz - The Wisconsin Trivia Team Game You Play for Fun and Prizes! Welcome to Amp Quiz® of Western Wisconsin! AMP Quiz® is the trivia game show you play with your friends for fun and prizes – and it’s FREE! Turn your useless knowledge into AMP Quiz booty! 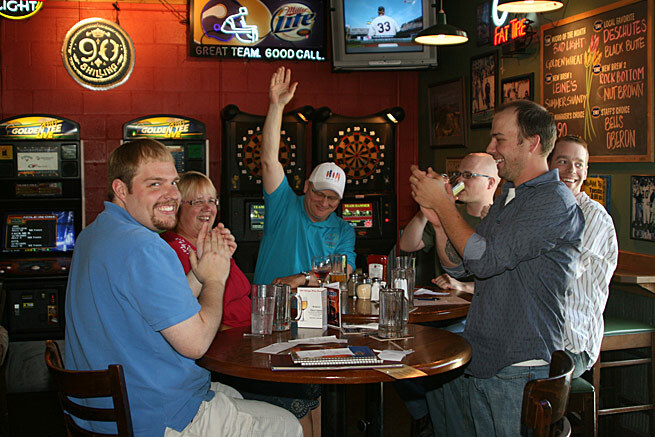 Amp Quiz® of western Wisconsin brings live trivia contests to your favorite venues and promises a fun and entertaining night for all who play. Best of all, Amp Quiz® is always FREE TO PLAY! 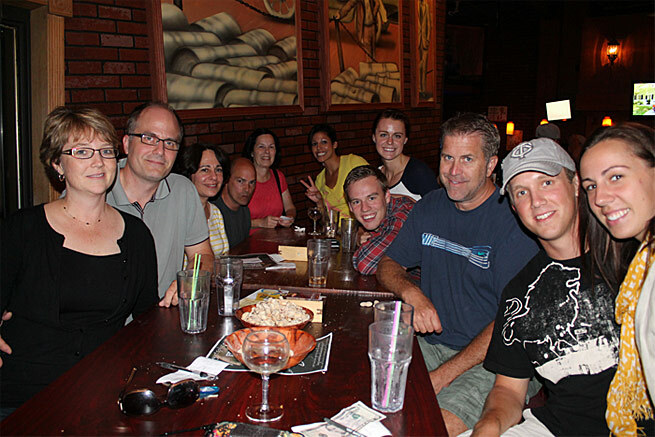 Teams compete for nightly prizes including gift cards, free food and drink, and of course plenty of cold, hard cash! 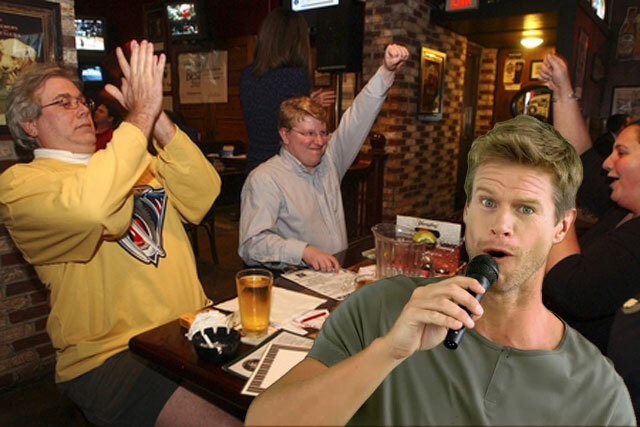 Each live trivia game show is presented by one of our many talented and entertaining hosts. 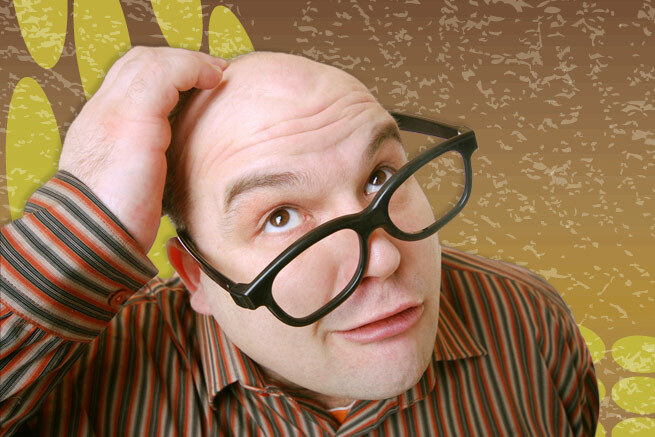 Amp Quiz® subject matter is a potpourri of categories including music, movies, TV, sports, history, and more, with plenty of surprises along the way. A plethora of categories gives all team members their strong subject and ensures the useless knowledge stored away will finally be put to good use. What does matter is that everyone has fun! Team size doesn’t matter, and there are often even prizes for the best team NAME. Grab your friends, invite that smart guy from the office, and come take a break with some great food and drink at one of western Wisconsin’s premier establishments. We promise, once you play along with Amp Quiz®, you’ll be back! 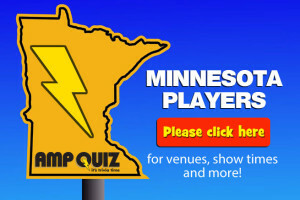 We are merging our Minnesota shows into this website, but until then please visit amptriviamn.com for venues, showtimes, and other information. The free answers are the same on both websites, so you can continue checking here to get your weekly “inside scoop”! Think you've got what it takes? CLICK HERE and apply to become an entertaining, money-earning, Amp Quiz® host!